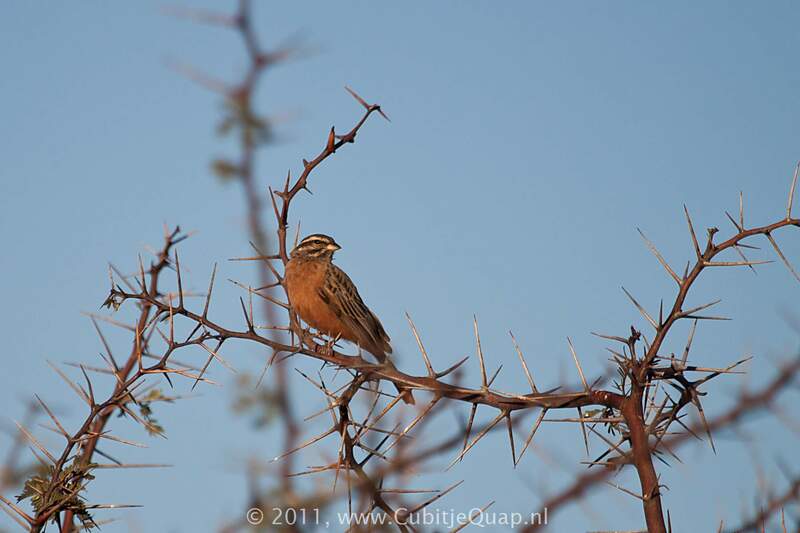 In comparison with the Cape Bunting, this species has cinnamon (not grey) underparts and a black (not white) throat; it also lacks the contrasting chestnut wing coverts. Female and juvenile are duller versions of male. A grating, rattling song; a soft 'pee-pee-wee'.